The number of people who have fallen victim to ID fraud rose by 68 per cent during the first half of the year, new figures show. Credit report firm Experian said the number of ID fraud victims who contacted its free Victims of Fraud service during the first six months of 2007 was up by two thirds compared to the same period last year. The total quoted was 2,570 people. Experian said that present address fraud - when someone's post is intercepted - was the most common identity fraud offence, accounting for 39 per cent of all cases. Identity fraud - when criminals use someone else's identity, usually to apply for credit or claim benefits in their name, or to use their credit and debit cards - is currently Britain's fastest growing crime. Identity fraud costs the UK economy an estimated £1.7 billion a year. Experian warned that the most credit-worthy members of society are the ones most at risk, with criminals targeting highly paid professionals living in prestigous city locations. But people living in rented accommodation are also at a high risk of ID fraud, Experian said. It seems that Londoners are most likely to become victims of the crime. People living within the M25 are more than three-and-a-half times more likely to have their identity stolen than the average for the UK as a whole. Commuter towns such as St Albans, Guildford and Slough were also listed as high fraud risk areas. "Although some people are more likely than others to become a victim, and consumers are more aware of the threat than ever before, everyone is a potential victim," said Helen Lord, fraud and regulatory compliance director at Experian. "The rate of identity fraud growth continues to be scary," Lord added. The research comes during National Identity Fraud Prevention Week which aims to educate consumers and businesses about the dangers of identity fraud and the steps people can take to stop themselves becoming victims. Be vigilant - Beware of anybody who contacts you out of the blue asking for personal information or account details - even if they claim to be from your bank, the police or another official organisation like your local council. Ask for their name and a contact number and call them back to verify their details. Guard your cards - Keep the number of cards you carry to a minimum, and minimise any information about yourself. 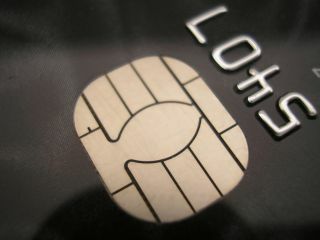 If you do lose a card, contact the fraud division of the relevant credit card company as soon as possible. If you apply for a new credit card and it doesn't arrive in a reasonable time, contact the credit card company. Never let your card out of sight when using it in shops and restaurants. When you get a new card, sign and activate it immediately to authorise it. Pay attention to billing cycles - If your bill doesn't show up on time, contact the creditors immediately. A missing bill could mean a fraudster has taken over your credit card account and changed your billing address to something other than yours. Check your credit report at credit reference agencies - Check your credit report regularly to ensure no accounts or credit have been set up in your name illegally and without your knowledge. Keeping a regular eye on your credit report will alert you if someone has been using your identity to obtain credit. This will help both to quickly rectify your credit report but also stop the fraudster in their tracks. You can obtain a copy of your credit report from one of the UK's three credit reference agencies. Keep your documents safe - Store any documents containing personal details, such as your passport, driving license, bank statements or utility bills somewhere safe. Also, keep the number of documents you carry around with you that contain your personal details at an absolute minimum. Shred all documents - Shredding your important documents is the best way to ensure that criminals cannot build up a profile of you based on the information you discard in your rubbish. Make it a routine to shred all documents containing personal or financial information before binning or recycling them - at home as well as at the office. Protect and secure your post - If you live somewhere with a communal postal delivery point, such as in a block of flats, make sure your post is secured until you pick it up, using a lockable postbox for example. Deposit outgoing post in post office collection boxes or at your local post office, and opt for the most secure posting method when posting any documents that contain personal details. If you suspect your mail is being stolen or that a fraudster has made a mail redirection application in your name without your knowledge contact Royal Mail Customer Care on 0845 774 0740. Moving house or going away - If you move house, tell your bank, card issuer and of course all other organisations that you deal with immediately. Also, ask to redirect any mail from your old address to your new one for at least a year. If you're going away for a long trip, say, Royal Mail's 'Keepsafe' service will hold your mail for up to two months, and deliver it to you on your return. Update contact details - If you move house or change telephone numbers, inform all relevant organisations about the change as soon as possible. Use a mail forwarding service for at least a year to make sure all post is redirected to your new home, reducing the risk of your personal information getting into the wrong hands. Stay safe online - When using the internet for shopping, banking, reservations, holiday bookings etc, make sure you have the latest security patches and up-to-date anti-virus software installed. Never click on any links in emails claiming to be from your bank, mortgage company or similar, and never give out any passwords. It is also wise to regularly change your passwords - which should not be personal in any way, and as hard to decipher as possible using a combination of letters and numbers - to keep the risk of a fraudster logging into your accounts as low as possible. More info can be found on the National Identity Fraud Prevention Week website.